Well, if when it comes to the reason of the separation between Brad Pitt and Angelina Jolie a series of rumors and even some scandals emerged, it seems that when it comes to the financial aspect of the split, things may be clearer. So, Angelina Jolie and Brad Pitt have a prenuptial agreement, which will make their legal separation much easier. Angelina Jolie and Brad Pitt were considered to be the power couple of Hollywood. The two stars are believed to have a joint fortune of no less than USD 400 million. However, dividing their assets through the divorce proceedings will not be difficult at all, as the two actors have an alleged “ironclad” pre-nuptial agreement which indicates very clearly what will each get after their marriage ends. Luckily for Angelina and Brad, they have few joint properties. So, they are believed to have a total of 12 properties to split, most being acquired before they were married. Some were actually purchased by the two separately even before they started dating. 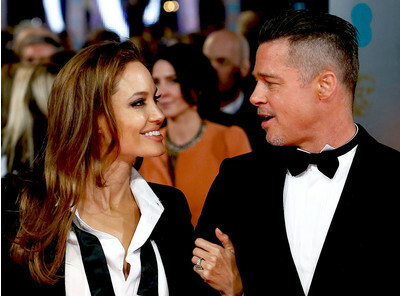 Overall, Brad is said to own seven properties and Angelina two. Three other properties were purchased by the couple together, but it is unclear how much they paid and who really bought them. However, if when it comes to the financial aspect things are very clear, this does not mean that the divorce cannot turn into an ugly battle. Already, a series of rumors are linked to the separation. And, even more than that, Angelina and Brad may have some differences when it comes to the custody of their six children. Angelina has already demanded in her divorce filing the sole physical custody of the kids.